Khana Khazana is a North Indian restaurant located on busy Portrush Road in Glenunga. The business has been around for over 7 years, and the Chef and Owner has had over 30 years in the food industry. As you walk in, you can see the entire restaurant which is one large dining area. 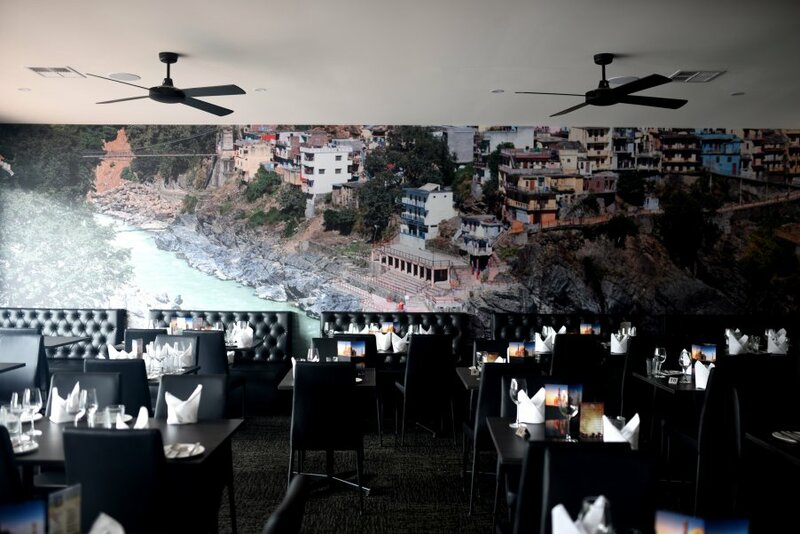 The dark coloured furniture and white cloth napkins give this place a touch of class, and you can’t help notice the large mural along the back wall. The entire width of the frontage is glass which allows plenty of natural light to flow through. The menu is extensive with over 80 items which does not include the specials. Today, we had the Chicken Tikka which was nicely presented a hot iron plate. The serving size was generous and the aroma from the spices had us salivating. 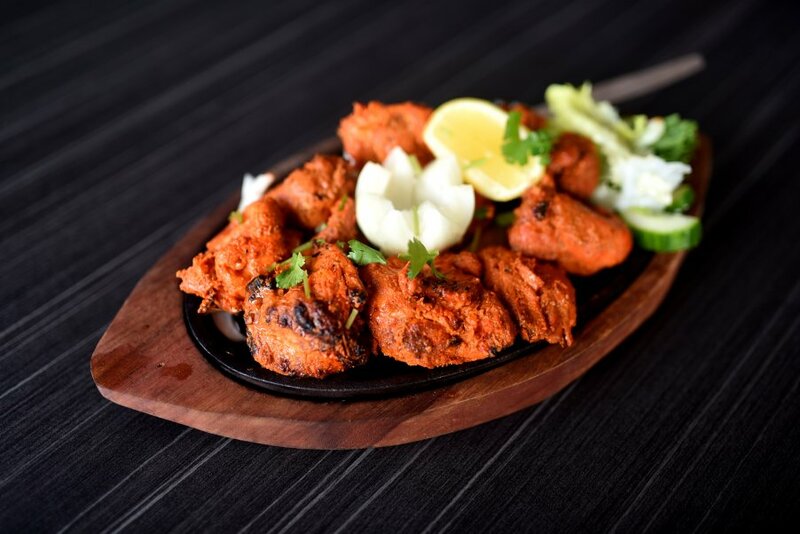 The chicken was well seasoned, and the meat was tender and succulent with lovely smokey flavours from the tandoor. The staff were very friendly and the service was fast and efficient. The atmosphere was relaxed and the pricing represents good value for money. The cost of the main was $13.50 which was impressive considering the quality and portion size. From their extensive menu, only 3 dishes are not gluten free, so there is something for everyone. Khana Khazana is open for lunch from Monday to Friday from 12-2:30pm, and open for dinner every night from 4:30-9:30pm including public holidays.